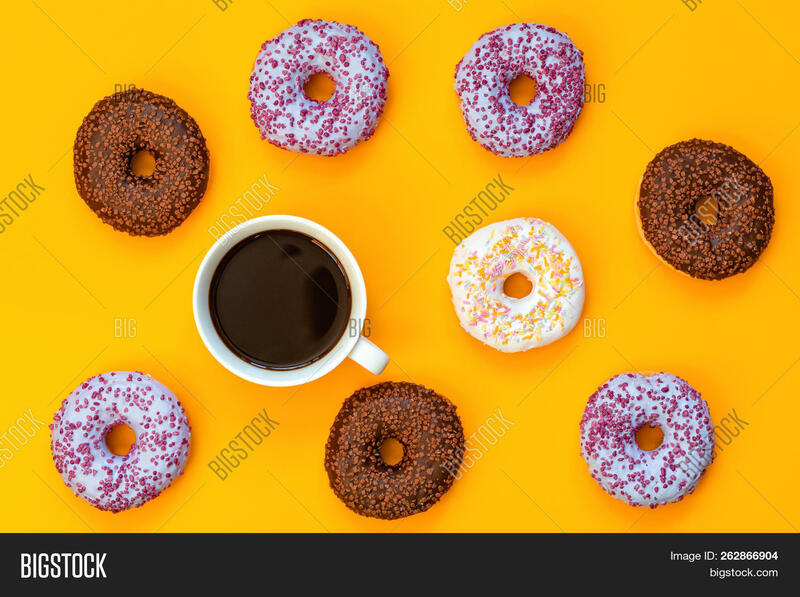 Delicious glazed donuts and cup of coffee on yellow surface. 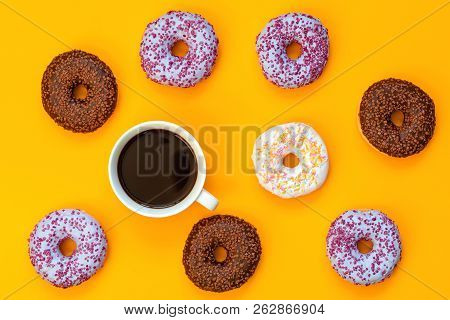 Flat lay minimalist food art background. Top view.